BROKEN TEMPLES by Kevin Max was released earlier this year and what follows is my original review of the album as it was released then, but, updated with commentary on the additional tracks available on the Deluxe Edition of BROKEN TEMPLES that is now available through iTunes. Also included in this updated post is the lyric video “Light Me Up” from BROKEN TEMPLES and the lyric video for for the new song “Love Feels Like (featuring dcTalk)” which features Kevin Max, along with Michael Tait, on TobyMac’s just-released album THIS IS NOT A TEST. 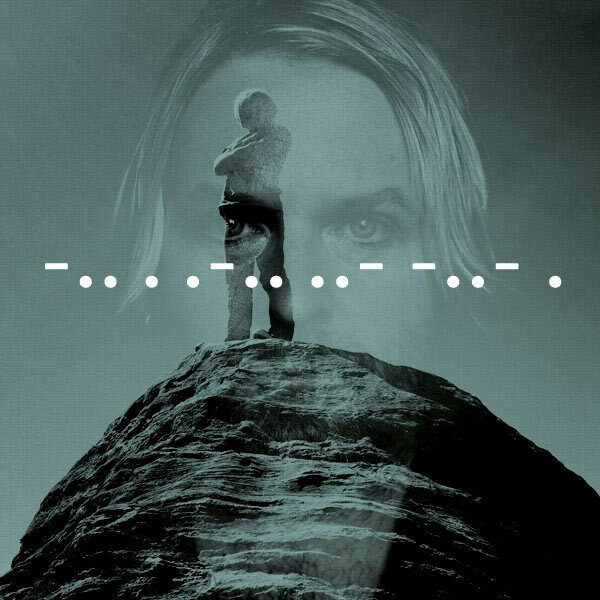 Broken Temples, the latest solo album from Kevin Max, the iconic voice of dc Talk and “Kings & Queens”-era Audio Adrenaline, is an album that celebrates space and the perspective it can bring, both figuratively and literally. Lyrics throughout the album paint a bird’s eye view of literal and figurative open highway landscapes, deep valleys amidst jagged peaks, and moments of still, quiet solitude contrasted by the boundless measure of the heavens and the infinite God that moves in, around, and through them. The themes explored lyrically on this album are a marked departure from Max’s last solo effort, 2010’s Cotes d’Armor (True Rebels). Instead of what, by comparison, were darker, cryptic lyrics juxtaposed with ambient electronica, Broken Temples offers a direct line to hope, but, without the candy coating of Christian clichés so overused on contemporary Christian radio. Laid out on a framework of new wave with occasional nods to the influence of U2, Johnny Cash, and the Beatles, the album is a clear product of Max’s musical influences. That fact, in and of itself, is respectable, since so many artists make so many concessions in their music just for the sake of getting on the radio. It is Max’s ability to articulately explore and celebrate truths of God and the importance of grace as a dynamic in the lives of believers that I appreciate as much as, if not even more than, his amazing voice. Kevin Max is a poet and his expertise as a craftsman of words is on full display in the songs of Broken Temples. It takes a great lyricist to be able to use words within reach of the common lexicon, and to arrange and partner each of them with just the right musical moments in a song, in order to produce an emotional and personally relevant response within the listener that is both memorable and meaningful, and to do so to a degree that is greater than the sum of its parts. It is even more impressive when he can do so while simultaneously leaving enough room in the interpretation of the lyrics to allow almost anyone to connect their own bruised hearts with the experiences of a man who has stated that the lyrics to the songs of Broken Temples (“Just As I Am,” in particular) are some of the most personal that he’s ever written. Lyrical gems alluding to the broken nature of humanity, and the relief and purpose that we have the chance to grab hold of through God’s grace, are threaded throughout the album and employed in a manner that communicates hope for the broken without ever conceding to the banality of the latest Christian music industry platitudes. I’m certain that I could tell my own redemptive life story by simply excerpting lines from the lyrics of songs like “Good King’s Highway,” “Light Me Up,” “Just As I Am,” and “That Was Then And This Is Now,” – all songs that reflect back on life-lived, for better or worse, and acknowledging the wonder of grace and eternal hope in the face of it all. But, it is the stripped down arrangement of “That Was Then And This Is Now,” certainly one of my favorite tracks from the album, that grabs me immediately within the first few seconds of the song and engages me on a deeper level, as Max sings about finding assurance and peace in the growing space between the mistakes of our past and the present hope of our future, through the duration of the song. “Good King’s Highway” is a solid opening track that rings with optimism and celebrates providence in the midst of the journey of life from the very first note going forward while “Light Me Up,” a decidedly and unapologetically-pop song, alludes to God’s ability and desire to use us, in our broken state, for his lasting purpose and, in doing so, provide a more abundant sense of life and meaning than we ever could’ve imagined before. The slick pop sound, set against the substance and poetic depth of the lyrics in “Light Me Up,” “Just As I Am,” and “When We Were Young,” are another characteristic stroke of Max genius. As the 80’s new wave-inspired tracks “Just As I Am” and “Clear” unfold, the listener’s attention is focused inward as Max reflects upon the one-to-one, personal dynamic that exists between God and believer when we choose to accept His hope personally. Max ably meets the challenge of taking a sound so characteristic of the 80’s and making it sound completely relevant decades later. Like “Good King’s Highway,” “White Horse” has an expansive sound, but, also has a spirit that steers closer to praise music than Max typically ventures. It does so, however, in a truly Max fashion, as he has managed to present a song that honors the truth of God without leaning on standard Christian music industry cut-and-paste lyrics, thus creating a song that is accessible not just to common believers, but, also to a wider audience that appreciates texture and artistry in music. Broken Temples is rounded out by two Derek Web remixes (of “Just As I Am” and “Clear”) and “Infinite,” a celebratory chorus in the vein of “Give Peace A Chance” by John Lennon and “All You Need Is Love” by the Beatles. While the argument against including remixes in an album does have merit (who wouldn’t want two more original songs instead? ), I enjoy Webb’s alternate take on the two remix songs (“Another Big Mistake” and “Going Clear”) further the continuity of tone established in the first eight tracks of the album, while, also adding texture to the album as a whole. “Infinite” (featuring a well-placed appearance by Rachel Lampa) provides a memorable exclamation point to the album by celebrating the fact that God is so much more than any of us can even comprehend with our finite minds. There is more going on than we can see or even hope to understand, but, God is worthy of our faith. As a whole BROKEN TEMPLES is simply amazing. Only time will tell whether the album will gain enough of the exposure it is worthy of in order to propel Max’s presence and notoriety in the Christian music industry onward and upward to the level of respect that he deserves as a solo artist. Regardless of whether it does or it doesn’t, Broken Temples is an album that stands firmly on it’s own accord. It takes guts to trailblaze through the wilderness that Kevin Max has and the grace of God to sound this good on the other side. “Lay Your Weapons Down,” a bluesy, soul guitar track, and “Freak Flag,” a tongue-in-check nod to 90’s Christian rock in the vain of classic Audio Adrenaline and dcTalk, represent a tone not characteristic of the album as a whole, but, certainly warrant their own inclusion as bonus tracks. “Memoria” is my favorite of the additional tracks. It carries on a very Beatle-esque quality that is hinted at on “Infinite,” and one can’t help, but, to sing along after just a listen or two. “Desperate Heart,” on the other hand, fits extremely well into the pop-new wave feel of earlier album tracks such as “Just As I Am,” “Clear,” and “That Was Then This Is Now,” with synthesizer, bass line, drum machine, and vocal textures that would make any 80’s music fan swoon. The demo version of “That Was Then This Is Now,” is very closely related to the slightly more produced version that ended up on the standard release of BROKEN TEMPLES. They are so similar, in fact, that I’m tempted to ask why it was included. But, altogether, the five additional songs gave BROKEN TEMPLES the balance it needed to tip my assessment of this album from 4.5 out of 5 to a full 5 out of 5. There is a fair amount of space for the listener to soak in and reflect upon the lyrics, as presented by Max on BROKEN TEMPLES, in order to make them their own, while the arrangements and production of the album ensure that the songs will only gain traction with repeated listens and that the album, as a whole, will age well and, perhaps even, better than other albums released by his contemporaries in the contemporary Christian music industry. Well done Mr. Max. There has been a good deal of fanfare surrounding the release of Kevin Max’s fellow dcTalk-alum TobyMac’s new album THIS IS NOT A TEST, and with good reason. But, the track that I found most interesting was “Love Feels Like” which features a mini-reunion of dcTalk by including Michael Tait (Tait Band/Newsboys) and Kevin Max (Audio Adrenaline/solo) along with Toby McKeehan. Simply put, it’s a great track. There is a magic that happens when their voices come together that is captured here and they picked the right kind of song to do it on, too. It’s an in-your-face, powerful song that carry’s weight in terms of the sound and the substance of the lyrics. One can only hope that there is more of this on the way. This entry was posted in Broken Temples, Christian Music, Kevin Max, Music, Music review, new music and tagged #brokentemples, #kevinmax, #kevinmaxbrokentemples, Audio Adrenaline, Christian Music, dcTalk, deluxe edition, Kevin Max, Kings & Queens, Love Feels Like, Music, Music review, new music, This Is Not A Test, This Is What Love Feels Like, TobyMac. Bookmark the permalink.